Pat Spain is a 32 year old wildlife biologist, biotech trainer, TV series presenter and cancer survivor with a passion for adventure. He’s traveled to the most remote locations on Earth and interacted with many of its strangest creatures as the on-air host for the National Geographic Channel series “Beast Hunter” and the creator and host of his own web-based series “Nature Calls”. Pat is always enthusiastic for the next great adventure and excited to add to his ever growing list of “things that have bitten or stung him”. At 30 years old, Pat faced his most difficult challenge when he was diagnosed with stage 3 colon cancer. 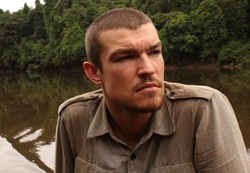 He has since returned to the “wild life” he led previously and gets strength from sharing his experiences with others. 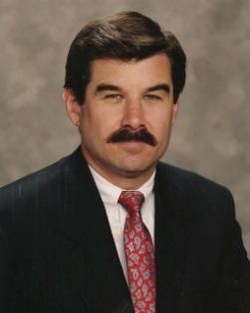 Dave Paulides received his undergraduate and graduate degrees from the University of San Francisco, and, has a professional background that includes twenty years in law enforcement and senior executive positions in the technology sector. 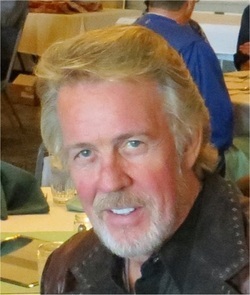 In 2004 he formed North America Bigfoot Search-NABS (www.nabigfootsearch.com) where his investigative and analytical experience were invaluable in researching Bigfoot/Sasquatch sightings, encounters and behavior. In 2010 The CanAm Missing Project was established with the intent of tracking and developing information on people who have vanished in the wilds of North America. For the last three years David and his team have committed thousands of hours of investigating some of the most disturbing disappearances of North Americans that have ever been documented. Dave is also the author of "The Hoopa Project", "Tribal Bigfoot", "Missing 411 -Eastern", "Missing 411 - Western" and "Missing 411 - North America and Beyond" . 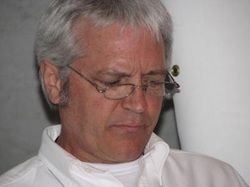 R. Scott Nelson is a retired U.S. Navy Crypto-Linguist with over 30 years experience in Foreign Language and Linguistics, including the Collection, Transcription, Analysis and Reporting of voice communications. He is a two time graduate of the U.S. Navy Crypto-logic Voice Transcription School (Russian and Spanish) and has logged thousands of hours of voice transcription in his target languages as well as in Persian. He is currently teaching Russian, Spanish, Persian, Philosophy and Comparative Religions at Wentworth College in Missouri. In 2010, published the Sasquatch Phonetic Alphabet and Transcription Standard (S.P.A.). In 2013, published Revision I of the S.P.A. which includes the Sasquatch Language Recording Syllogism (a philosophical proof for the existence of Sasquatch). Has conducted six expeditions in the company of Ron Morehead to the original Sierra Camp where the Berry/Morehead Tapes (Sierra Tapes) were recorded. Lexington, Missouri; teaching Russian, Persian and Spanish as well as several Philosophy and Religion courses. USS Coronado, USS Belknap, USS Deyo, USS Bigelow, USS Sphynx; serving in the Atlantic Ocean, Indian Ocean, Mediterranean Sea, Red Sea and Persian Gulf. Two time graduate of the Defense Language Institute, Foreign Language Center, Monterey, California (Russian and Spanish). Two time graduate of the U.S. Navy Crypto-logic Voice Transcription School at Naval Security Group Detachment (NSGD), San Angelo, Texas (Russian and Spanish). Graduate of U.S. Navy Communications Intelligence Analysis and Reporting School at NSGD, San Angelo, Texas. Acquired the Persian Language while assigned to afloat platforms in the Indian Ocean and Persian Gulf. These platforms had Persian as their primary target language. Logged thousands of hours of collection and transcription of voice communications as a Crypto-logic Interpreter for the U.S. Navy. Challenged by skeptics, but time-tested by science, Ron Morehead’s account of the legendary bigfoot brings an exciting report of unsurpassed vocal interaction between humans and modern day giants. He has produced two CDs and a book, which have actual vocalizations of bigfoot and their attempt to interact with man. Science has established that these unusual sounds were spontaneous and made at the time of the recordings. And, a complex language has recently been discovered. Ron believes they are sentient and, like humans, have cognizance. His story provides the reader with a unique insight into the nature of these giants.